The Fleet front seven was probably one of the more surprising and interesting things about the team’s month-long training camp in San Antonio. They impressed a ton early on in camp, getting pressure and forcing turnovers in team drills on a daily basis. All of that starts down in the trenches with the defensive tackles. Andrew Stetler and Shakir Soto give the Fleet a big-bodied presence on the line of scrimmage. Both stand at approximately 6’4″ and will act as primarily run stuffers for the Fleet. Tani Tupou has NFL experience and might be the best defensive lineman of the bunch. Despite being undersized, Gelen Robinson impressed a ton in camp and earned his spot on the roster. He only stands at 6’1″, but uses his athleticism to get after the quarterback and make plays. We’ve seen guys his size have success at the NFL and college level (Aaron Donald and Ed Oliver) and although Robinson is not anywhere near those guys, it is possible for someone his size to have success at the position. 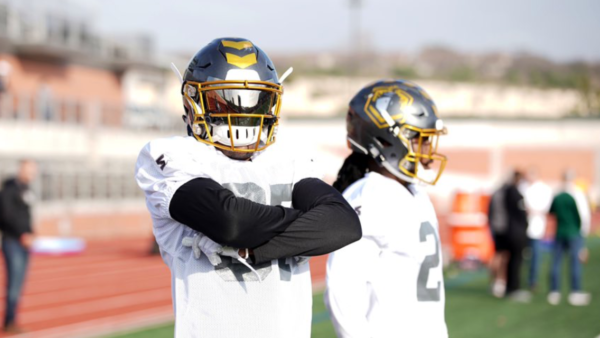 Donte Wilkins was a late addition to the roster that might have made the team had he been on the roster when the Fleet arrived in San Antonio. Derrick Dixon was personally my pick to make the roster, but Stetler and Soto ultimately impressed Martz and the coaching staff more. As for Jose Duncan, I did not feel like he had a chance of making the roster from the beginning. Putting pressure on the opposing team’s quarterback is the most important thing a defense can do. Allowing someone to stand in a clean pocket is a recipe for disaster and the Fleet are going to need a big contribution from their experienced defensive ends to put pressure on opposing quarterbacks. This unit starts and ends with Damontre Moore. 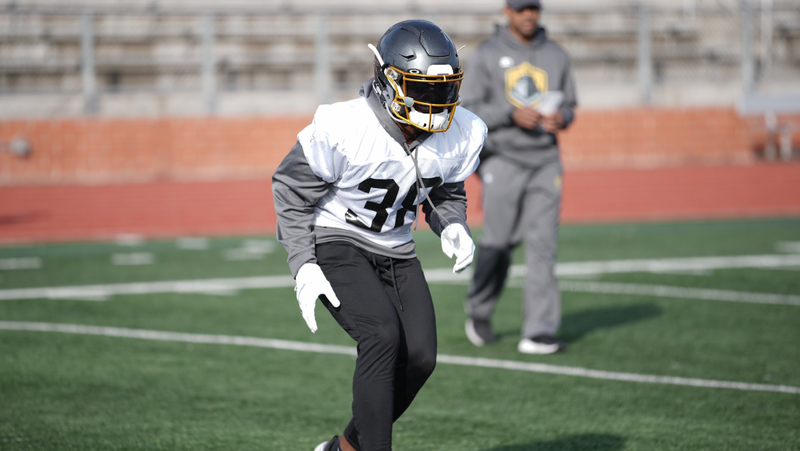 Another mid-January addition, Moore recorded a sack against the Apollos on the very first play of the game and has dominated in practice all month. A former all-American in college, Moore played in the NFL with the Giants for three seasons but only recorded eight sacks during his NFL stint. Playing for a chance to get back in the league, Moore is going to be a wrecking ball this season with the Fleet. A converted defensive tackle, Alex Barrett also brings NFL experience to this positional group. Barrett signed with the Detroit Lions after going undrafted in 2017 and spent some time on their practice squad. He’s an experienced pass rusher that is also a good athlete and should create a solid pass rush combination with Damontre Moore. Both of the other defensive ends that made the rosters are very interesting cases. Myles Nash played tight end in college and converted to defensive end when he joined the Fleet. He’s a freak of an athlete but is still fairly raw as a pass rusher and is more of a project-type player. Meffy Koloamatangi was fairly good in college with the University of Hawaii, but he spent most of the team’s training camp recovering from a knee injury. The Fleet must think highly of him if they elected to retain him despite him not practicing a whole lot. Both of them should see some playing time as rotational edge rushers, but Barret and Moore will likely steal the spotlight. The only defensive end that did not make the roster was the former University of San Diego star, Jonathan Peterson. A local kid, Peterson left USD as the FCS all-time sack leader and I thought he had a fairly good chance of making the roster. He does not have the size or strength that most defensive ends have, however, and the Fleet did not view him as an important piece moving forward. Ask anyone that is constantly around the Fleet and they will tell you that the linebacker group is the best unit on the defensive side of the football, if not the best on the whole team. There are a lot of players on this linebacking corps that have NFL experience and will be key pieces going forward for the Fleet. Travis Feeney might have been the most impressive player in all of training camp for the Fleet. 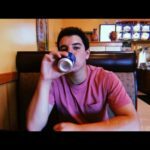 An absolute freak of an athlete, Feeney pairs his pass rushing skills with improved coverage skills that make him absolutely terrifying off the edge. If I had to choose an early pick for Fleet “Defensive Player of the Year” it would definitely be Travis Feeney. The rest of this group is fairly experienced and talented. Both John Lotulelei and Eric Pinkins played in the NFL and are two of the older players on the entire roster. In a league full of young players, having experience on your side is extremely important. I’m fairly surprised that Kenneth Olugbode made it over both Tau Lotulelei and Tobenna Okeke. Standing at only 6’1″ and weighing in at 219 pounds, Olugbode is fairly undersized for the position. He does not get after the quarterback at a high rate but is fairly good at stopping the run and in pass coverage. Okeke was my pick as the fourth outside linebacker to make the roster. He has NFL experience and has fairly good pass rushing skills. Okeke is really good at stopping the run, but is not good in pass coverage at all. This might be a reason why the team elected to go with Olugbode over him. As for Tau Lotulelei, he just does not have the experience under his belt like the rest of these players. He put up great numbers at UNLV and is a great athlete, but does not have the moves necessary to be a pass rusher at the next level. Lotulelei excelled at stopping the run and was a tackling machine, so I actually envision him as more of an inside linebacker than an outside linebacker. 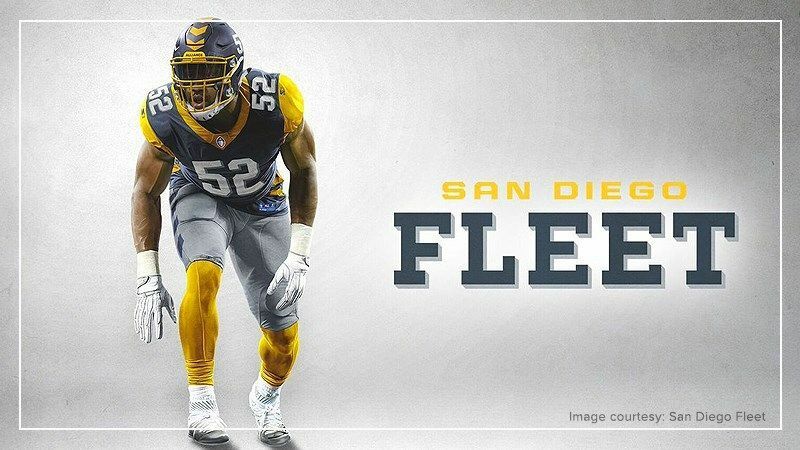 The Fleet only elected to keep two inside linebackers on their roster and I would expect them to get the majority of playing time at the position. Frank Ginda is a physical, tackling machine that was a virtual lock to make the roster, in my eyes. He flies all over the field, is a freak athlete, and hits like an absolute truck. His pass coverage skills need improvement, but Ginda is very close to being a complete player. Former Buffalo Bills linebacker A.J. Tarpley will be Ginda’s running mate for the majority of the season. Tarpley retired from the NFL at the age of 23 but had a change of heart and is now attempting a return to the NFL via the Fleet. Tarpley had a great game against the Apollos, recording a sack and making a ton of plays during the game. Together, Ginda and Tarpley are going to form a solid inside linebacking duo for the Fleet’s first season. Those that were left off the roster were not very good fits for the Fleet. Jonathan Thomas is more of a safety than a linebacker in the first place. Al-Rasheed Benton and Anthony Sarao are very similar players, and while they are talented, neither one of them are better than Ginda and Tarpley. 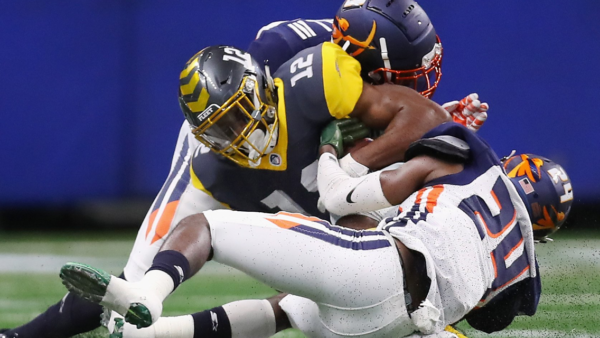 The Fleet elected to keep a ton of cornerbacks on their roster, with six of their ten defensive backs being cornerbacks. Speed is something the Fleet cornerbacks will not lack. Ron Brooks, Greg Ducre, Kendall James, and Curtis Mikell are all very fast. What they might lack in coverage skills, they make up for with speed. Brooks is the most experienced of the bunch. He was a part of one of the greatest collegiate secondaries of all time, even if he was a rotational player, and also spent five seasons in the NFL. Coming into training camp, Brooks was extremely raw and needed to develop his overall technique as a cornerback to make the roster. It appears that he did so, and with his speed, the Fleet might have something special brewing with Ron Brooks. Next up on this list, for me, is Jude Adjei-Barimah. An undrafted free agent out of Syracuse, Barimah had success in his short NFL stint with the Tampa Bay Buccaneers. Unfortunately for him, a PED suspension and an injury forced the team to release him and he has yet to be picked up by another NFL team. Barimah is not a great athlete, but he makes up for it with his ball skills and technique. He has the best chance to become a true lockdown corner for the Fleet solely on how well-rounded he is as a player. With Brooks and Barimah likely to be the starting cornerbacks for the Fleet, the rest of these players are actively competing for the third cornerback spot. Kendall James, Greg Ducre, and Justin Williams are all good athletes that are just not very good cornerbacks. Their technique and ball skills just are not there yet and I was fairly surprised that all three of them made this roster. Curtis Mikell is a very interesting player. I understand that he is undersized for the position, 5’8″, but Mikell plays a lot bigger than he actually is. His ball skills might be the best on this team and he is a very good athlete for his size. When I originally broke down the cornerback position, I compared Mikell to Mike Hilton because of how he looked on tape. Hilton is undersized, has good ball skills, and gets after the quarterback, all traits that Mikell has. If I was a betting man, and trust me, I’m not, I would bet on Curtis Mikell being the team’s third cornerback. Tyree Holder not making this roster comes as a big surprise. This could be a Bishop Sankey situation, as Holder was on the Fleet’s injury report with a rib injury that kept him out of practice for a few days. If this is not the case, and the Fleet just simply cut him, it would come as a true surprise. Holder is a good athlete that has great ball skills and looks like a lockdown corner on tape. He’s a true playmaker, something that the Fleet does not really have in their secondary. If he is healthy, I see no reason as to why Tyree Holder did not make this roster. The Fleet secondary is a legitimate concern for me. They do not have very many playmakers or talented players scattered throughout their secondary, and that showed against the Apollos. The Fleet got carved up by the Apollos’ offense and the secondary looked like a gaping hole. Both Demetrius Wright and Damarius Travis have NFL and professional experience under their belts. Wright was on the Miami Dolphins roster for one season and played in the Canadian Football League as well. Travis has spent the last two seasons on the New England Patriots practice squad, going up against Tom Brady and company on a daily basis. Their experience was likely a reason why they made the roster, but both are not bad players. Both Wright and Travis are both very physical players that are not scared to lay a big hit every once in a while. Wright is better in coverage, but Travis is the best tackler in this entire secondary. They have the experience to potentially be a solid safety duo. 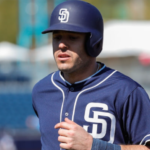 There are a lot of questions surrounding both Ryan Moeller and Jordan Martin. Moeller is very inexperienced and raw for a safety as he is still learning to play the position. His coverage skills are not good and he is an average tackler at best. In my opinion, he had no business making this roster. Martin, on the other hand, is a good player that just can’t stay healthy. He suffered several injuries in college that forced him to miss a lot of time. Taking a flier on someone who is prone to injuries over a guy like Na’im McGee or Tyler Thornton just does not make sense to me. Of all the positional groups, the safety position is the one that makes the least amount of sense to me. How Na’im McGee and Tyler Thornton did not make this roster over Ryan Moeller and Jordan Martin is a mystery to me. McGee is the best safety of the bunch, in my opinion, and Thornton played well enough in practice to earn a spot on this team. I think losing these two players will prove costly and I am not sure what the coaching staff saw in this. The only real news here is that the Fleet elected to go with former Pittsburgh Panther Ryan Winslow over the punter they had originally brought into camp in Sam Irwin-Hill. Previous Are the Fleet San Diego’s Cure for PTFS (Post Traumatic Football Syndrome)? YAY!!! San Diego has a football team playing in the stadium where they were meant to play!! So long Chargers, don’t let the door hit ya on the way out! 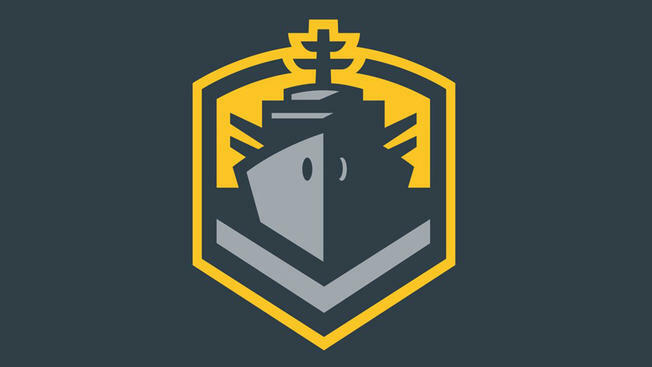 Hello San Diego Fleet and thank you for coming! Please stay! Don’t break our hearts like those other guys did! Can’t wait to go to a home game again!